Free Printable Word Searches : Coffee Time! We have free printable word searches for your enjoyment! Most of our puzzles have a twist. Many there are extra words in the word list, or there might be a key word that's hidden many times in the puzzle. In this puzzle, words are hidden in a coffee mug. Find each word from the word list in this coffee mug. Why not grab a cup of coffee or tea while you work the puzzle? Kids' Word Searches We have a nice assortment for all ages on a variety of topics, including the circus, taking a trip, and even laughing! 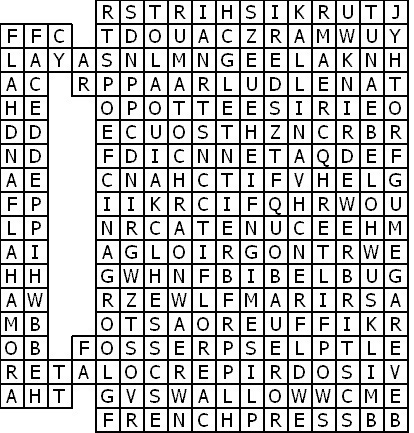 For another puzzle related to food, try our Lunch Break Word Find. 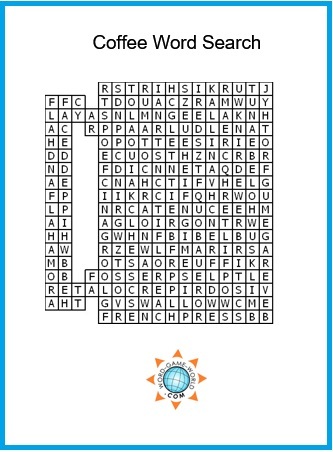 Can you find 40 words related to a workday lunch break? Or will you be too hungry to finish solving it? Ireland Word Search - Find all counties, rivers and other important words related to the Emerald Isle. Can you find out how many times the word GREEN appears? 50 States Word Search How long will it take you to find all 50 of the United States? Baseball Word Search Hit a home run and find 40 baseball terms. There's a bit of a twist--don't make an error! The Books of the New Testament Search for all the books of the New Testament. Don't miss the little "twist" in this one! Color Me Puzzled Will this puzzle have you seeing red? We sure hope not! Top Baby Names for Boys and Girls Find the names used most often in the U.S. from 2000 to 2008. We can also help you with several baby shower word scrambles for your next baby shower. The Finer Things in Life Even if you don't have some of these more luxurious items, we think you'll enjoy solving this puzzle! FIVE-LETTER FIASCO Probably our most difficult word find. Are you up for the challenge? ZigZags - If you like to solve free printable word puzzles, we think you'll love our ZigZags! See how long it takes you to zigzag your way through each each diagram of seven-letter words. Buzzwords! Our own original design. Solve crossword clues by searching for answers in this sweet honeycomb puzzle. There's nothing like it! Famous Pairs Fun for all ages. If you can complete the phrase, "mac and ?," you can probably complete this entire puzzle without too much difficulty. Fun to solve as a family! 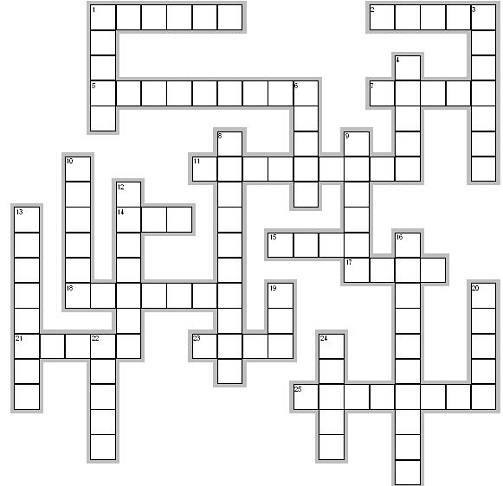 We also have lots of crossword puzzles on different levels of difficulty. Our wide assortment of topics includes sports, movies, acronyms, foods, the circus, math, space, Bible, and lots, lots more. Use the buttons on the left to find the level you'd like to try first.